4WDing is a heck of a lot of fun. The thrill of conquering a challenging obstacle is a bit like quenching a three-day-old thirst while admitting you actually like the torment. Ok, so maybe I’m exaggerating a little bit there, but you get the point, right? The problem is, once you’ve pushed a stock 4WD to its limits, it won’t be long until that little voice in your head manages to talk you into spending your entire life savings on performance upgrades. That’s the stage I’m at, as we speak. 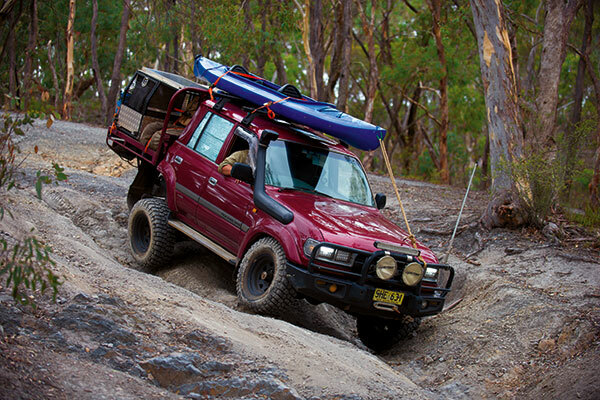 Yep, it’s time to chuck a few offroad goodies at the old LandCruiser and see just how capable we can get it. It’s time to enter the world of diff locks. Why start with diff locks? 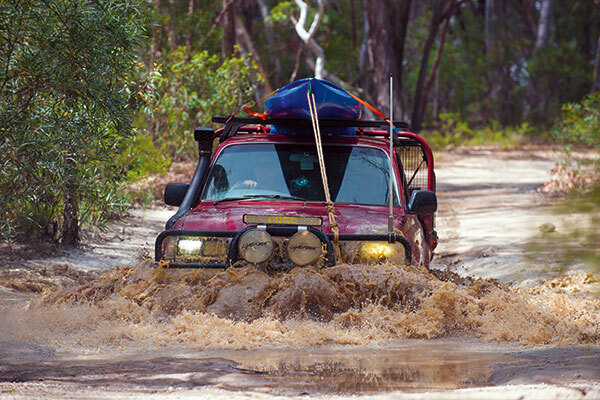 Well, let’s face it, without them, your typical 4WD is more like a 2WD but with better traction. The reason being, most 4WD drive differentials send the available power from your engine down the path of least resistance; which is always the wheel not touching the ground. So only two wheels actually receive any drive when traction is lacking, and it’s to the wrong bloody ones! Lets break it all down, eh? In a nutshell, the differential's main job is to split the power produced by the engine between a pair of wheels. So for example, your rear diff will split the power between both rear wheels. It’s also designed to allow the tyres to rotate at different speeds, which is required as the vehicle turns a corner (outside wheel covers a larger distance at a different rotating speed). The “open centre differential” style is the most common design out there, especially for passenger vehicles, however, it sends all the available power down the path of least resistance, which is always going to be the one with the least amount of traction. Obviously, if you’re on the tracks popping wheels up in the air left, right and centre, you’re not going to get far with this design. 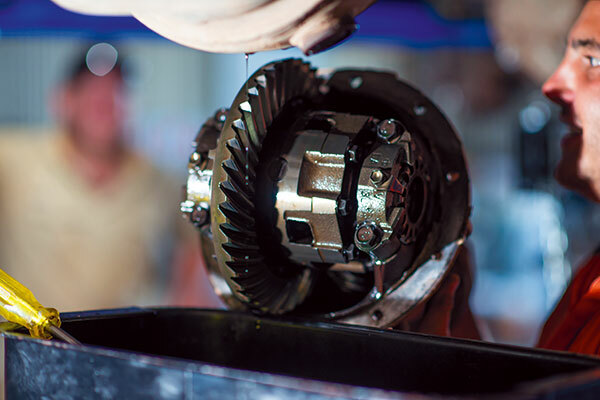 For this reason, most 4WDs come standard with a Limited-Slip Differential (LSD). Its design limits the amount of power that gets to the wheel with no traction, so that the one with some footing actually receives at least a portion of that power. The main disadvantage being that the amount of power that can be sent to the wheel with traction, is also, as the name suggests, “limited”. Plus, the LSD centre mechanism can wear out and loose effectiveness over time, too. A locking differential design has a mechanism that can effectively lock both wheels/axles together, so they rotate at the same speed. The real beauty of diff lockers is that both axles consistently receive equal power, even if one wheel is lifting 6ft in the air! The downside is, this mechanism needs to be disengaged to allow the wheels to rotate at different speeds while turning corners, as handling is dramatically affected if they’re still activated. There are a few different diff locker designs out on the market. Some use compressed air to activate the diff locker mechanism (air lockers) while others use the power of electro-magnets to do the job (electric). Then there are the auto-lockers, which are basically always locked even on the black top, but usually have a built-in design feature to allow the wheels to momentarily unlock and rotate at differing speeds, before automatically locking back up. But for us 4WD tourers, being able to engage and disengage the locker when you need it is a massive bonus both on and off-road! FRONT OR REAR DIFF LOCKS? Obviously, having front and rear locking differentials is the ultimate option here, but what if you can only have one? After all, they’re not exactly cheap. In fact, don’t expect any change from $2000 to $2500 bucks per locker — fitted! So the question begs: Would you benefit more from a front or rear locker? That’s a tricky one to answer though, as it really does depend on your vehicle. For example, if your 4WD only has a traditional open-centre diff fitted at the rear, installing a rear locker will be a massive advantage. Yet, if it’s already got a good, strong LSD at the rear with an open centre locker up the front (like most vehicles), you might see more benefit from a front locker instead. Plus, you’ll find auto-lockers are generally a much cheaper option. So, if you have manual locking hubs up the front, the locker is effectively disengaged while you’re not in 4WD, making it a viable budget option with plenty of bang for your buck. 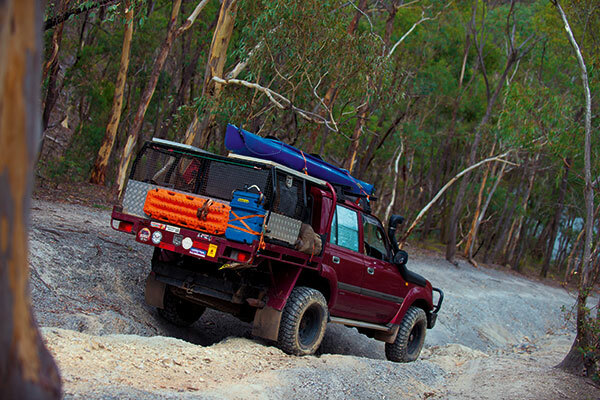 The amount of suspension travel your vehicle offers comes into play here too. 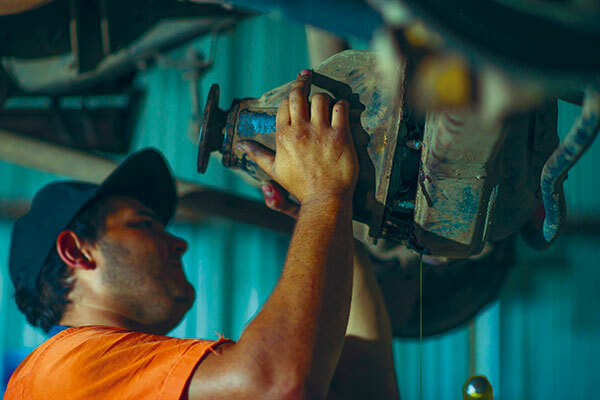 So if your rear suspension has plenty of flex and allows the wheel to droop down nice and low when needed, there’s a much greater chance of maintaining traction and eliminating the need for a diff lock in the first place. Out on the tracks, you’ll be blown away at just how much more capable a diff locker can make your rig. It’s quite evident over a variety of different terrain such as soft mud, not to mention steep and rocky obstacles. But in reality, there aren’t too many offroad challenges a diff locker couldn't provide advantages for. 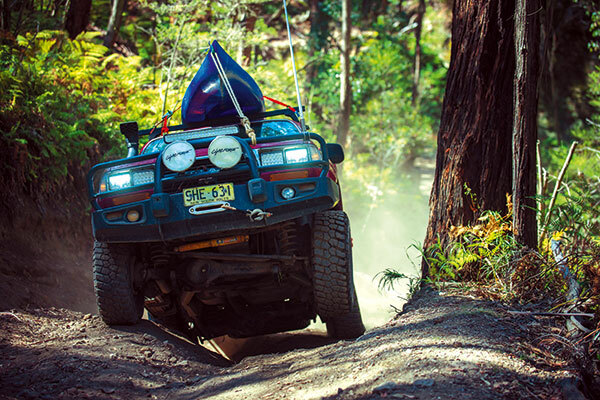 However, there are a few things to look out for, including having more offroad capability, which can allow you to get even further into a nasty predicament if you don’t know your limitations. After all, sometimes you’re better off getting stuck down the bottom of a hill climb rather than right up the top, eh? Plus, you’ll find steering is always going to be effected when the diff lock is engaged, especially if it’s the front locker. It’s much harder to physically turn the steering wheel/tyres, which is something to keep in mind if the obstacle ahead requires a bit of wheel work or manoeuvring. Also, here’s a tip: activating the rear locker as you come down a super steep decline can actually help stabilise the vehicle a bit, too. First up, let’s look at how traction control generally works. In short, most traction control systems use the same wheel speed sensors from the vehicle's Anti-lock Braking System (ABS) to sense when one wheel is spinning faster than the others; which indicates slipping or loss of traction. It then applies the brake to that individual wheel. The diff is usually an “open centre differential” so applying the brake to the wheel with no traction, stops it from being the path of least resistance, meaning the power is sent to the other wheel with grip available. More advanced systems can actually reduce the engine’s rpm to help regain traction too. Does it work? You bet ya backside it does! But there is a downside; the whole system is reactive, meaning it actually needs the vehicle to lose traction before it can deploy any counter-measures, which isn’t always ideal in the real world. In saying that, the steering is not effected as opposed to a diff lock. Now for the big question: Which one’s better? Well, having both would be awesome. But purely for traction purposes, having front and rear selectable (air or electric) lockers would be the pick of the litter. In saying that, most of us campers simply don’t need that much capability. Plus, with most late model 4WDs including Traction Control as a standard feature, it’s pretty hard to justify coughing up a whole lung for the price of a set of diff lockers, at least not if a good Traction Control system will get the job done just fine. While we’re out exploring, you never really know what you’re going to come up against. In terms of increasing your vehicles offroad capability, installing a set of lockers would have to be the best way to do it. After all, there aren’t really any drawbacks, especially when compared to the other available modifications out there. So, if you love your adventure but find yourself getting stuck a little too often, it’s definitely worth checking out.